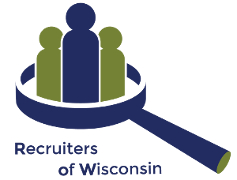 Join us for The Spring Happy Hour Recruiter Discussion event – both social and educational! WHERE: Open Flame – 5081 S. 108th Street, Greenfield, WI — Food & Drink provided! $25 for Non-Members… but wait, you can purchase a ROW Membership today and attend for free as well as receive additional discounts on upcoming events and socials through June 2017! TOPIC: How to deal with Counteroffers and Multiple Offers your Candidates receive. Come, share your thoughts and experiences, and learn in the process.